Since last survey satisfaction with Punjab government has decreased. 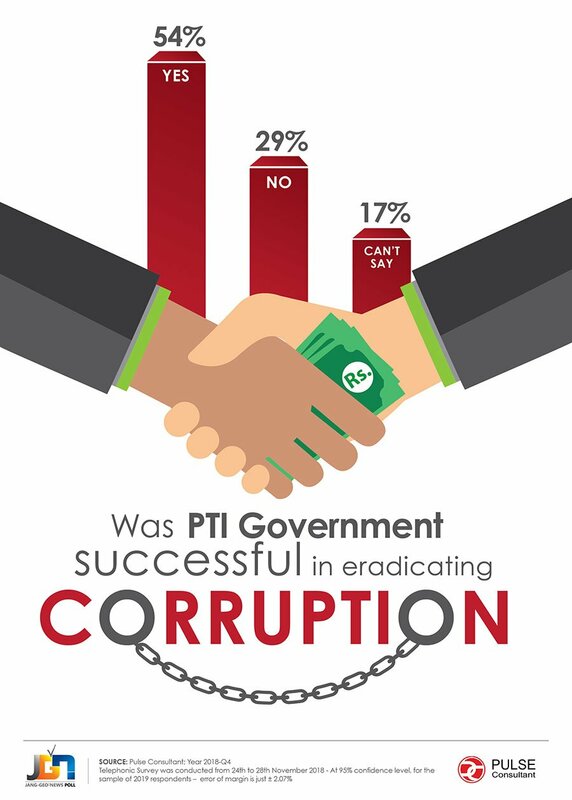 98% of respondents say inflation has increased, 54% state corruption has been reduced during the PTI government’s tenure. 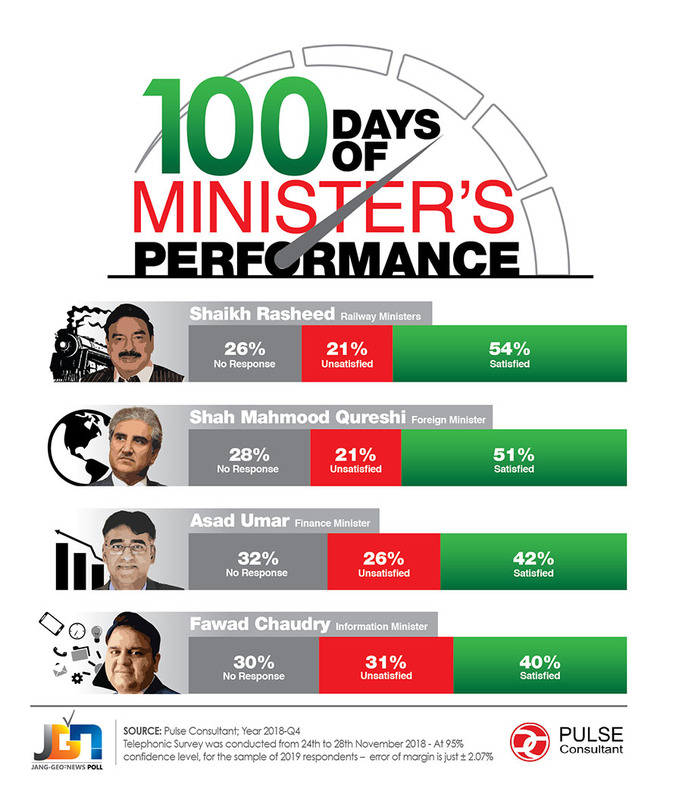 A nationally conducted survey by Pulse Consultant has revealed that 51 per cent of respondents are satisfied with the 100-day performance of Prime Minister Imran Khan’s government. The survey report is based on opinions of 2019 respondents who were interviewed during November 24 to 28. The survey was conducted through Computer Assistant Telephonic Interviews (CATI) using state-of-the-art technology where all calls are recorded. The overall satisfaction of the masses with the federal government was at 51 per cent, while 30 per cent of them expressed their dissatisfaction. On the socio-economic level, the middle-class had the highest satisfaction level with Imran Khan’s government with 54 per cent, followed by upper class and upper middle class with 51 per cent. 49 per cent each from the lower middle and lower income class expressed satisfaction. In Punjab, 46 per cent respondents expressed their satisfaction with the provincial government, while 33 per cent were dissatisfied. 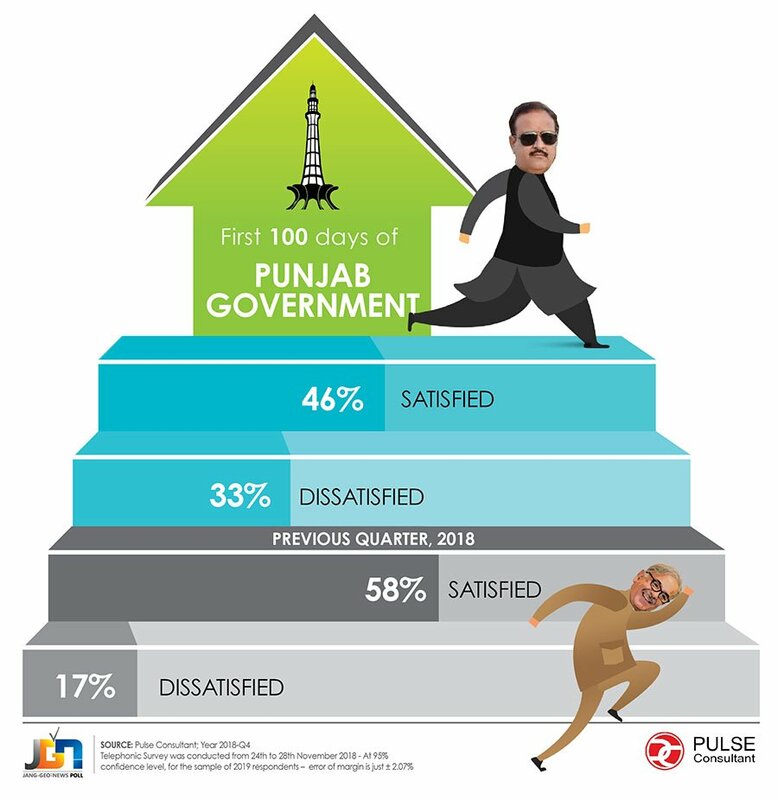 In comparison with the last survey conducted in 2018, satisfaction with Punjab government has decreased and dissatisfaction increased significantly (17 per cent to 33 per cent). 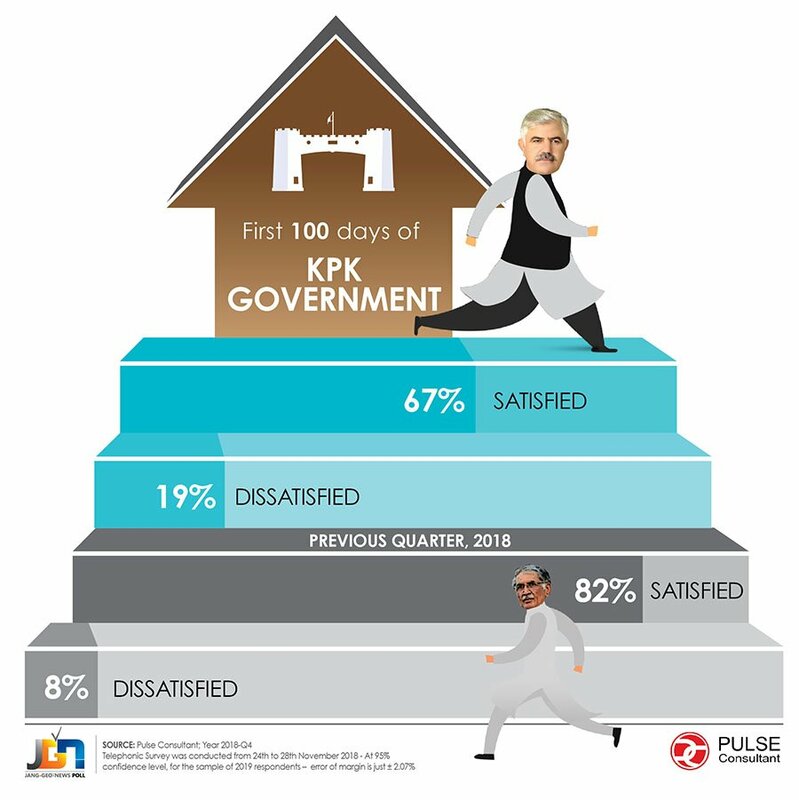 In Khyber Pakhtunkhwa, 67 per cent respondents were satisfied with the provincial administration's performance so far, while 19 per cent disapproved of it. The current Pakistan Tehreek-e-Insaf-led government in Khyber Pakhtunkhwa had a lower percentage of satisfaction compared to 82 per cent during its previous tenure in the province. Though people have confidence in the federal government, the PTI needs to do a lot of efforts to gain the public's trust in Punjab and restore trust in KP. 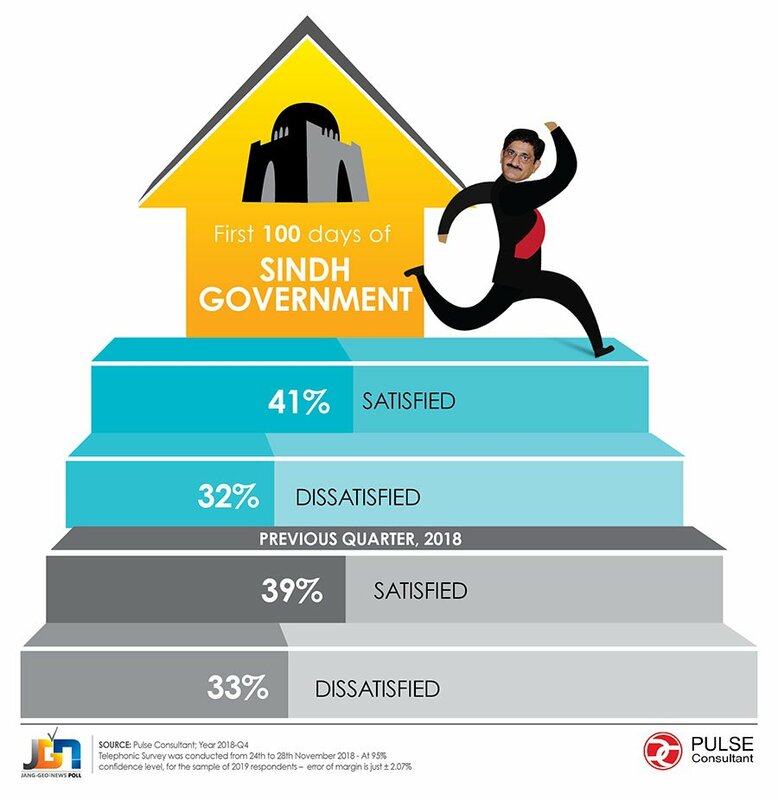 In Sindh, 41 per cent individuals were satisfied with the government performance so far, while 32 per cent voiced their disapproval. 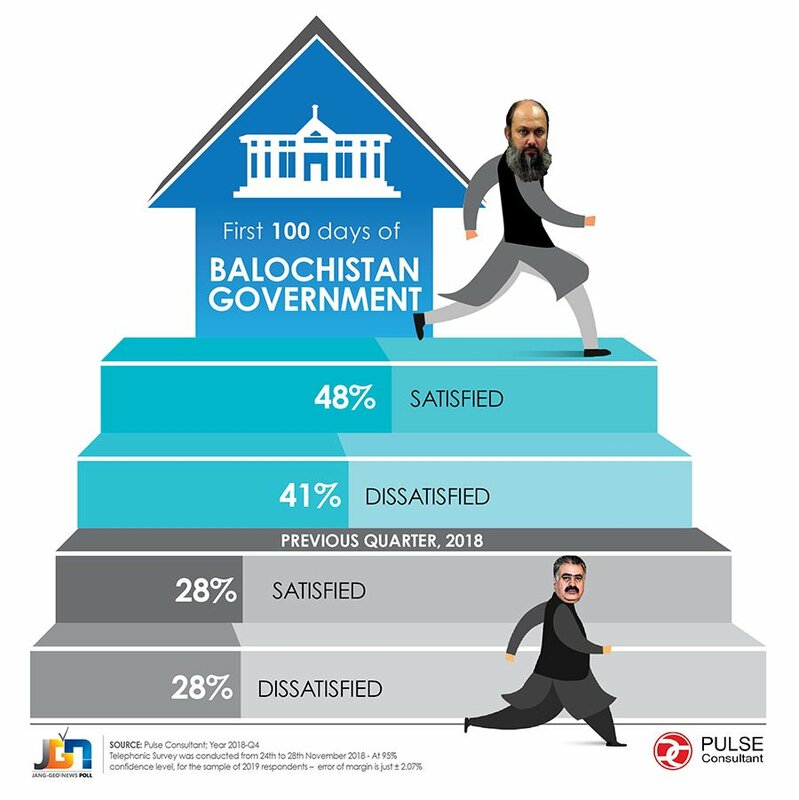 The Balochistan provincial government managed to satisfy 48 per cent respondents with its performance, whereas 41 per cent voiced their discontent. 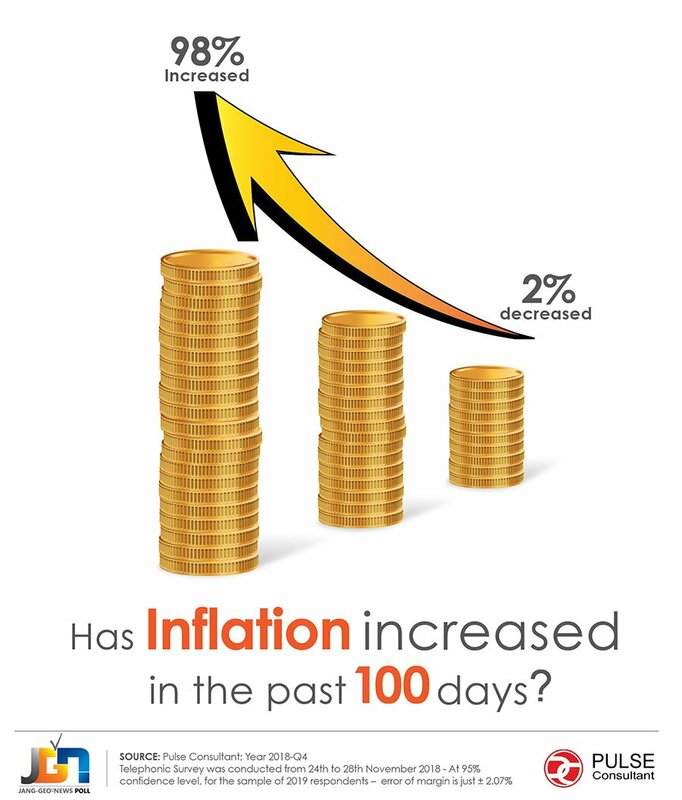 Nearly all of the respondents (98 per cent) reported that inflation has increased in the tenure of the incumbent federal government, whereas more than half (54 per cent) opined that corruption was reduced in the country. The performance of Sheikh Rasheed’s Railways Ministry enjoyed the highest approval rate (54 per cent), followed by Shah Mahmood Qureshi-led Foreign Ministry with 51 per cent. 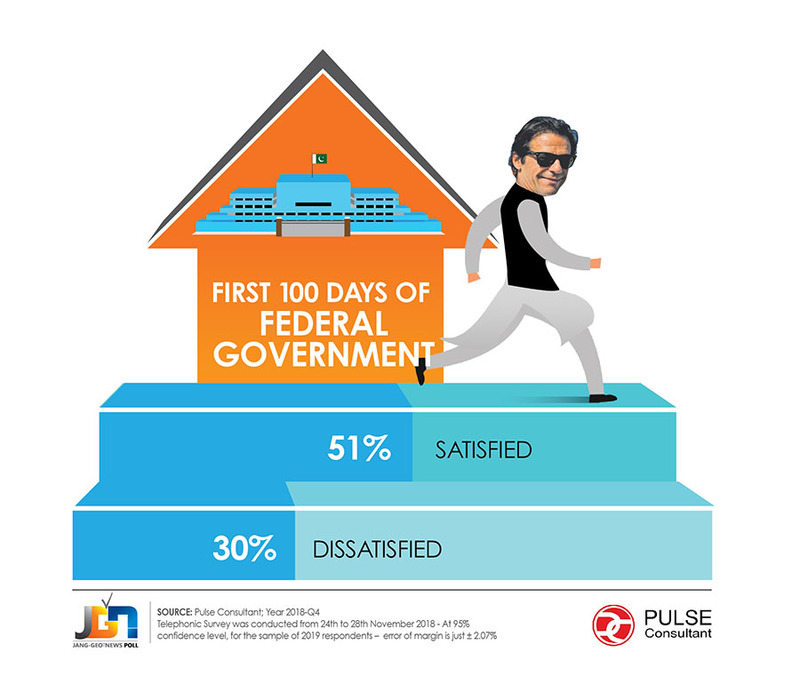 The Ministry of Finance, headed by Asad Umar, earned the satisfaction of 42 per cent respondents, while the Information Ministry attained satisfaction of 40 per cent of respondents. The respondents termed Prime Minister Khan's visit to Saudi Arabia more successful (60 per cent), compared to the China visit that drew satisfaction of 52 per cent of respondents.